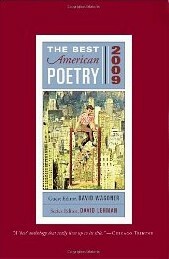 The Best American Poetry 2009, Guest Editor David Wagoner, Series Editor David Lehman. Selected David Wagoner as the 2009 guest editor. 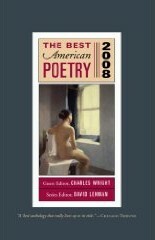 For the 2006 issue (guest editor Billy Collins), it was the 1940s. decline to state). 2008 issue. 2007 issue. 2006 issue. 1995 issue. John Ashbery's "They Knew What They Wanted". Caleb Barber's "Beasts and Violins". Mark Bibbins's "Concerning the Land to the South of Our Neighbors to the North". Catherine Carter's "The Book of Steve". Denise Duhamel's "How It Will End". Barbara Hamby's "Ode to Airheads, Hairdos, Trains to and from Paris". Copyright © 2010-2015 by J. Zimmerman, except for quotations.